View Building Distributed Systems in Distributed Teams. 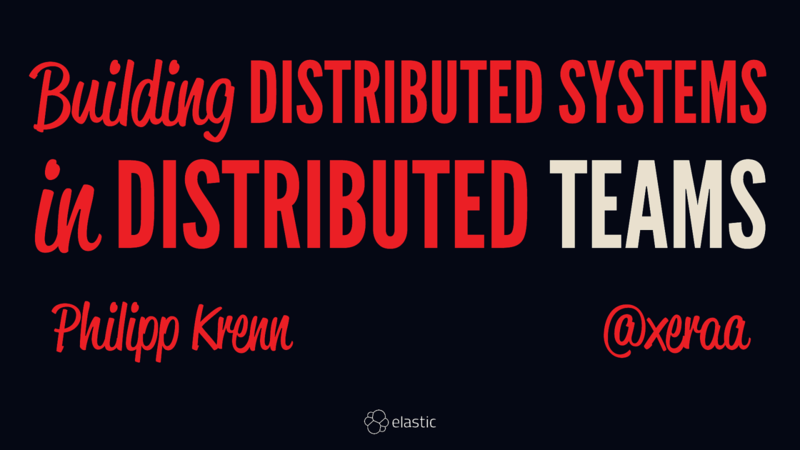 Building distributed systems is notoriously hard ... building a distributed team, even more so. At Elastic — the company behind the open source tools Elasticsearch, Kibana, Beats, and Logstash — everything is distributed; the company and our products. This talk dives into the details of how Elastic is thriving on its distributed model and how we make it scale. At the moment we are more than 1,000 and we are growing by 40 to 50 colleagues a month.